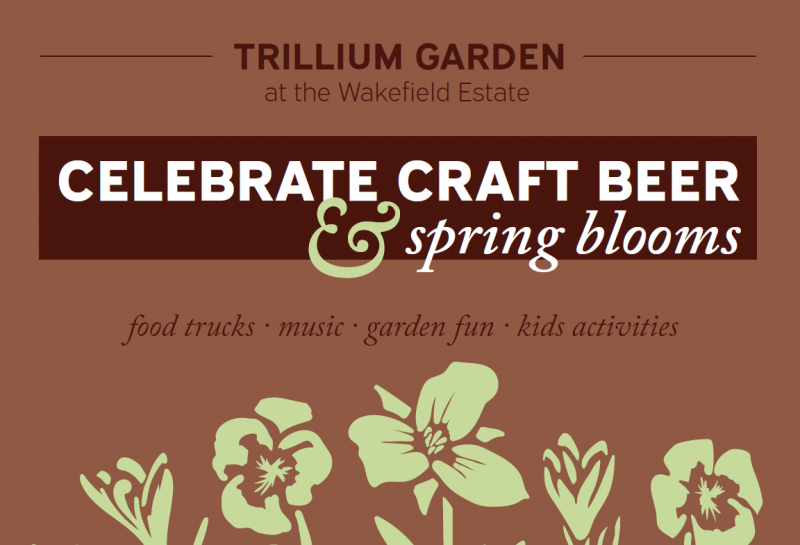 Trillium Garden at The Wakefield Estate MOVING to Rain Date, May 20th! 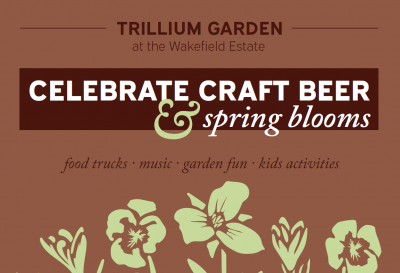 This event is now scheduled for its Rain date Sunday, May 20. Ticket price includes garden entrance, one 5 oz. pour, snacks and raffle ticket for a special door prize. Carpooling and biking strongly encouraged! Those who carpool (3 person minimum) and bike to the event will receive an extra raffle ticket for door prize - one per car or bike.